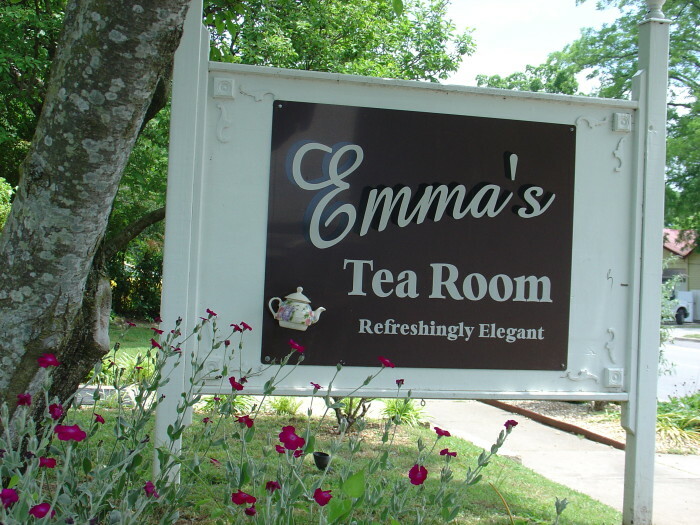 Emma’s Tea Room in the Huntsville, AL is an excellent place for tea. 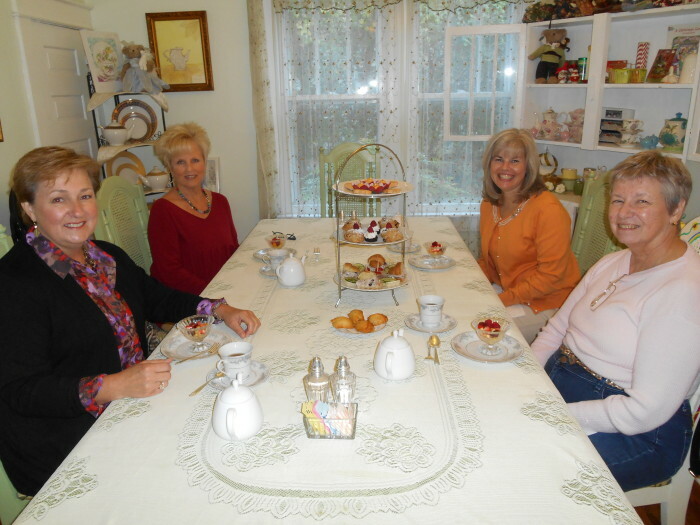 They have all the elements in place: an extensive selection of tea, excellent food, and a relaxing atmosphere in a pretty little house located in the trendy Five Points historic district. They have over 60 teas on the menu including black, green, white, oolong and herbal teas and now are selling Piper & Leaf tea! You may order a large pot for the table or each diner can have their own smaller individual pot. It’s fun to get different teas around the table and try each one. You can also get some shopping done while you’re there. They have teapots, jewelry, cards, scarves and a variety of gift items tucked away in all the corners, shelves and hutches. Their lunch offerings include salads, soups, sandwiches and paninis. They will typically have quiche and/or chicken pot pie as a special for the day. The food really is top-notch for the most part and better than most restaurants not just tea rooms. I do miss their wonderful seafood salad salad (yes, I meant to say that) with lemon and dill. 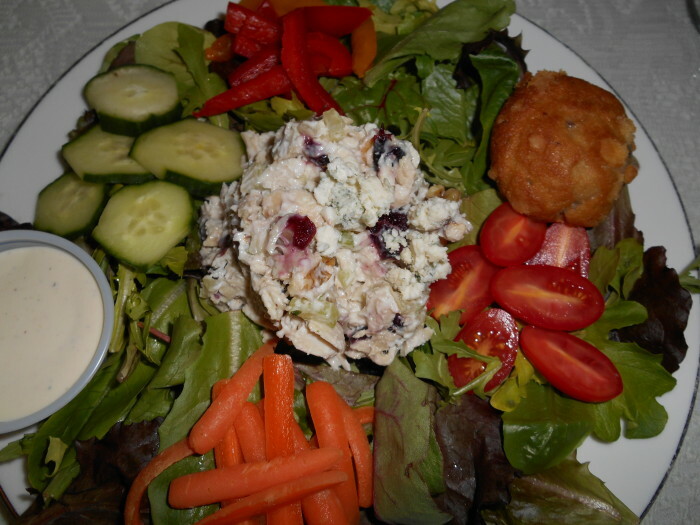 The chicken salad and curried tuna salad are always popular. The little bungalow house is so very charming. The tables are set with china cup and saucers, pretty little tea pots and lace table cloths. The windows have curtain sheers and stained glass hanging creating a nice soft glow in the little rooms. It’s the details like these that make it feel like a special place. They even have a nice semi-private room in the middle that seats up to eight. Afternoon tea is served on Friday and Saturday from 3:30 to 5:30 for groups of four or more. Emma’s scores points for calling it afternoon tea and for serving it… in the afternoon. Reservations are required for the afternoon tea but are not necessary for lunch; however, I do recommend making a reservation for lunch too because it can get crowded. They are open for lunch Tuesday through Saturday and prices are very reasonable. If I had to change anything, I would allow patrons to pay at the table rather than making everyone line up and pay at the register. Just know that you will need to leave a little extra time at the end to process your payment. I really like Emma’s and would say it rates 4 out of 5 stars.